So it's Valentine's Day today. So what? Since we don't celebrate this très commerciale day, life goes on, it's business as usual. But all the sentiments of love have actually made me reflect on why I pen all these (real) stories. I suppose it is only because I care about Cassian enough that I sincerely don't want him to get hurt by the unscrupulous Sidious family. This sixth story is about called 'The Tragedy of Exar Kun'. 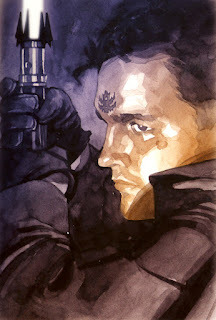 Exar was an evil Lord of the Sith. He was so mean toward his parents (and other people) in Korriban that I felt strongly that he deserved the tragedy that happened to him. Still, even for an evil person, he didn't deserve the treatment by yes, another member of the Sidious clan. Many light years ago, Brother Sidious invited Exar to the house and said that he had three sisters whom he wanted Exar to meet. Exar was actually keen to get to know the elder one but she arrogantly scoffed him for being a low caste, uneducated, 'poor' soldier. Exar felt insulted and decided not to be involved with Family Sidious. But Brother was cunning. He persuaded Exar to marry Elan, the younger one instead. What? Is this some kind of bazaar auctioning women? Exar, again for whatever reason, agreed when the Brother hastened the wedding. Perhaps Exar was compelled by Dark Magic of the Force, and he married Elan. All seemed well but Exar began to torture his own parents more horribly than before marriage. When his family told Elan, she just smiled sweetly and said that she couldn't do anything because he was the warrior of the family. Everyone thought that Elan was an emotionally-abused wife until the truth came out recently. 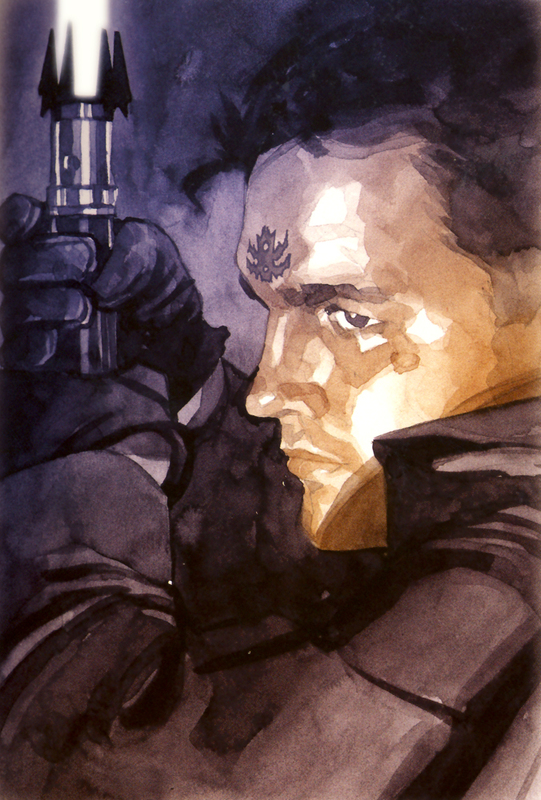 Exar's cousin, Bail Organa, paid Exar a visit to persuade him to abandon his bad ways. Elan went berserk and demanded Bail returned home with Exar as she didn't believe that her husband had spent the day with Bail. Bail was puzzled and realised that it was Elan who was the psychotic one (though she appeared innocent, sweet and 'religious'). It was not only her but her whole Sidious family were controlling Exar and his every move. Bail was more surprised when he discovered the threats and blackmails the Sidious family made to Exar. And worse, Exar seemed powerless against them. They even cut him off from his own friends and male cousins who were members of a highly respected family in Alderaan. *After thought: I am beginning to believe that the stereotype about the Sidious clan is true. Their only mission in life is to get their daughters and sisters married, at any cost. Putain! Cassian, this is already my sixth story. If you still want to get involved with Brianna the Handmaiden, it is your prerogative. But when the Sidious clan forces you to cut off ties with your family members and your longtime friends like me, you only have yourself to blame.